Fiji offers much to the intrepid traveller beyond the resort cliches. Vanua Levu, Fiji’s second island, a.k.a. the ‘Friendly North’. Across Bligh Water at the western end of the Koro Sea my one hour flight first covers Viti Levu’s mountainous interior. Innumerable atolls and submerged reefs separate the two islands. I see a Fiji beyond private white sand beaches and gated resort communities. Away from the tourist centres of the Yasawa and Mamanuca Islands and the purpose-built Denarau Island, another world exists. It’s very far from the packaged holiday trip most visitors to Fiji experience. The small plane descends over SavuSavu Bay, crosses a peninsula and the township of SavuSavu. A lone cow grazes on the fringes of the short runway. Trade winds, undulating palm fronds, scarlet hibiscus and white frangipani, purple prose material abounds. The Pacific Sun Airways twin-prop taxis to the boxy terminal building, its plain concrete walls are mildewed by the constant tropical humidity. A small hand-painted sign states simply, ‘SavuSavu’. I am one of two passengers. The two pilots help unload the cargo. I pick up my bag from the tarmac and wave good-bye. It’s a classic South Pacific scene: idle, indolent and idyllic. 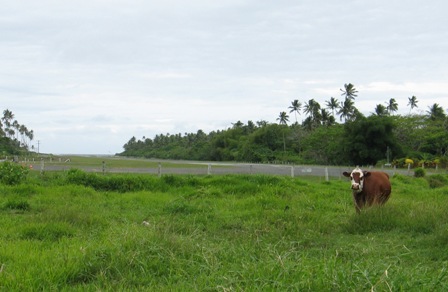 SavuSavu airport landing strip with cow. ‘Bula Vinaka!’ I’m greeted warmly. One of Jean-Michel Cousteau Resort managers collects me outside the terminal. ‘Bula’, hello and welcome wrapped into one very gregarious word, is Fiji’s calling card. The Cousteau resort is a short drive from the airport. The name Cousteau and scuba are synonymous and this resort is unlike any other in Fiji. A full-time marine biologist works here and I’m set to explore surrounding waters with him. We decide to dive the ‘Golden Nuggets’, three bommies approximately one kilometre offshore adorned in golden soft coral unlike any I’ve seen. Blazing colours decorate these outcrops festooned with coral. Unusually, multi-hued tropical fish pale in comparison. It’s a dazzling effect. For a moment I wonder idiotically if I should have worn sunglasses. Diving with a marine biologist is a privilege. I point at something I don’t recognise and he writes its name in English and Latin on a water resistant sketch pad. Like being in a singularly informative private classroom, it’s the two of us, schools of fish and I’m in fish school. Top marks for keeping my mouth shut. Point and learn, an attractive methodology. JM Cousteau resort dive on nearby reef. Cousteau runs a tight ship. I know that kids are scampering about the resort grounds but I rarely see them. Each child is appointed a minder upon arrival. With only 26 bures and separate areas for adults and children, it’s where parents can enjoy themselves knowing that the tots are well cared for. After the ‘Golden Nuggets’ dive I wander along the resort’s beach for a late afternoon walk. Three children with three nannies are sitting under a coconut palm in the sand. I pause to say ‘Bula’. The women smile but the kids are preoccupied. As I pass I hear one of the nannies say, ‘Ok, it’s your turn to bury him now.’ Out of context, it’s a funny thought. JM Cousteau resort beach at low tide just before sunset. A dining area is set aside for the little ones. Parents may choose to join them or not. I dine in the adults-only poolside restaurant on three courses of tasty French influenced fare. Part of the service here is a cocktail and hors d’oeuvres platter brought to my bure before dinner. I try a mango daiquiri and sample the chilled poached prawns with lemon mayonnaise, deciding then that I may have to feign injury to avoid leaving the next day. Another treat is a foot and leg massage which is offered to all guests as part of the welcome-to-paradise introduction. My foot massage preceded a full body massage in an open bure located right on the sand. I could see and hear the water lapping at the base of the massage table. No need for ambient spa muzak here. My grandmotherly masseuse whispers in my ear after treating my scalp to her heavenly touch, ‘Mr Tom. Don’t get up. Take all the time you want. A glass of cool spring water is next to your clothes if you are thirsty.’ I forgot I was naked under the cotton sheet. Actually I forgot everything and fell asleep. 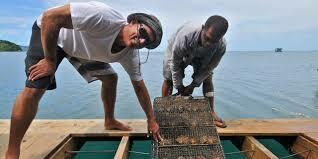 A pearl farm operates down the road from the resort. Pearl farm visits normally excite me about as much as a visit to the dentist but this was different. The J. Hunter Pearl Farm pearls are cultivated literally outside the farm office and shop. SavuSavu Bay is unique. The name means ‘hot springs’. J Hunter Pearl Farm on Savu Savu Bay. Deep water flushed with nutrients and minerals brings out a unique coppery bronze colour. A single strand sells for thousands of dollars. Unique bronze pearl from J Hunter Pearl Farm. On calm days, guided snorkelling tours of the pearl oysters hanging on ropes in the depths make an interesting diversion, like underwater retail therapy. J Hunter Pearl Farm workers. From real pearls to pearly teeth, it’s an exhilarating experience to scuba dive with large sharks. On previous shark dives in South Africa I was alone in a cage while Great Whites eyeballed me. Though these were extraordinarily exciting dives, I felt like a sliced lunch at the seal diner, cold and unappetising. In contrast this warm water dive in the Beqa Island channel off Viti Levu’s Pacific Harbour is sheer adrenalin rush. No cage and lots of open water all around. Here, I’m with five other divers, an equal number of guides and countless sharks. Whitetip, Blacktip and Grey Reef dominate while Tawny Nurse, Silvertips and Sicklefin Lemon sharks all compete for attention in the food chain. A guide is feeding a frenzy of Whitetips and Greys from a small bucket of fishy scraps. From only a few metres away, the sharks dart like silver bullets missing one another by mere centimetres. Their sleek bodies are streamlined, capable of impressive bursts of speed. Seven Bull sharks circle overhead, like grey submarines, bulky and watchful. Are they hungry or aggressive? Unpleasant scenarios eerily pass through my mind. During the pre-dive briefing, I signed a personal liability insurance form. My life is essentially my own responsibility. If I do something stupid I will bear the cost. The dive master warns me not to point at anything while I’m on the bottom at the feeding station. No sense in offering the sharks something else to bite I assume. These reputed human-chomping sharks swim above me in a tight formation. I lay low. This dive isn’t an easy cruise through coral gardens, rather it’s a test of nerves and mine are on edge. Like a beached walrus, I lumber as I avoid damaging fragile soft coral with a misplaced fin. Accidentally sideswiping the poisonous barbs of the lionfish hiding in my shadow wouldn’t be wise either. Something nips my left wrist. Annoyed and distracted I look down. A blue clown fish the size of my palm is defending its territory. It swims in front of my mask. His anemone home has been invaded. We have a momentary face-off. Nemo is biting me while I’m surrounded by man-eating Bull sharks? The irony is hysterically funny but in the deep, no one can hear you laugh. Grandma Bull Shark pays a visit. I turn slightly to check with my guide. He signals, okay? I respond affirmatively. Why wouldn’t I be okay? This is a once in a lifetime experience. To be this close to a top predator in the wild is a wildlife lover’s objective, to observe without harm, blending into the background. I want to be invisible, content to watch sharks and whatever else comes into view. Healthy seas support large populations of sharks. I like to see sharks. When they’re not around, I worry. Overfishing has drastically reduced shark populations: superfluously supplying flavourless fins to expensive soups or posing as flake in fish and chips takeaways, sharks are suffering at the expense of our misinformed greedy appetites. Their slaughter has been augmented by drifting shark nets and our vengeful retaliation to ridiculously over-hyped shark attack stories. In the Beqa Channel however, sharks appear to thrive. They’re in good company. As if on cue, a huge Giant Grouper appears like a levitating boulder. Suddenly there, its bulk forces smaller sharks aside to get at the bait fish. A Java Moray eel pokes its sinuous head out of a hidey-hole, mouth agape, protuberant teeth on full view. If I lean left I can stroke its chin, but don’t. A school of Giant Trevally do a fly-by, checking out the scene. They glint pewter shades in the deep blue light. We’re settled 35 metres deep, holding on to a rock shelf and surrounded by so much life that the ocean itself seems to pulsate. I don’t know where to look next. The thirty minutes of down time have flown by faster than the sharks took devouring their small lunch. Now, we must ascend. The eel looks lonely as I check for bull sharks, Nemo and my fellow divers. We have two safety stops to make and my air supply is low. The bull sharks are thankfully disinterested in the group’s collective ascent and remain at the bottom. That was the second of two shark dives in the Beqa Channel and it was as exciting as the first. The waters between Fiji’s big island and this small island off its southern coast are some of the richest pelagic fish viewing in the country, if not the world. No two dives are alike as there is no certainty about which species will appear. Hammerhead sharks one day, Tiger sharks the next. I’m told by my guide that Giant Groupers are very rare, we were fortunate. Evidently Bull sharks make frequent appearances but not daily. Seeing seven together on one dive is also rare. 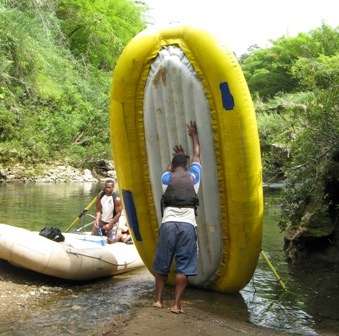 Out of the deep and into the foam, I venture on an all day white-water rafting adventure down the Upper Navua River on Viti Levu, 26 kilometres of rapids, canyons, rainforest and swimming. The landscape I flew over en route to Vanua Levu is all verdant and lush. From ground level, it’s mostly dense native forest though plantations of imported mahogany have reduced some areas to bleak monoculture, resulting in loss of bio-diversity. Mahogany timber plantations are wreaking havoc on indigenous vegetation due to the Caribbean import’s impact on soil chemistry. It leaches excessive acidity into the dirt. The overall impression however is tropically Eden-esque, but there are problems in this eco-Paradise. Get rid of the mahogany and native trees evidently return but the valuable timber is a cash crop in this remote backwoods area, no tourist resorts here and poverty-struck local people rely on logging for work. Moses makes ready our raft. The trip down the Upper Navua River is a wonder, a wet wonder but lots of fun despite the occasional dousing. The guides are all professional jokesters as well as expert raft handlers. I’m with Moses, the white water expert and guide. Any jokes about Moses floating down a river are quickly dismissed. ‘When I say, you paddle left, you paddle left. When I say you paddle right, you paddle right. I haven’t lost anyone yet so listen to me and we’ll all be fine,’ he commands. Though blessed with a good sense of humour, rafting down rapids can quickly turn very serious and Moses insists we take his instructions to heart and head. We’re provided with helmets, life-jackets, paddles, lunch and laughs. 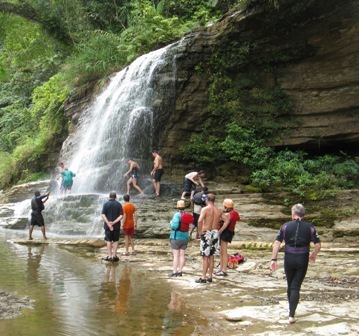 Gliding down a pristine river surrounded by waterfalls and steep volcanic walls is an experience that most tourists don’t imagine when they consider a trip to Fiji. During the cyclone season, the river runs very high and levels quickly rise by as much as ten metres. It’s another adrenalin junkie’s must-do on a list of crazy-if-it-doesn’t-kill-you experiences. Upper Navua River waterfall and rafting group. I go along for the ride and send thanks to the weather gods for their forbearance. My river trip is at the tail end of the dry season. The river is low, slow-going in places and much the better for it. There’s plenty of time to take in the scenery while floating at a leisurely pace. I’ll take my risks with the sharks instead. Rafting group on Upper Navua River Viti Levu. Despite a military dictatorship running the government in Suva, everyone I meet is smiling and unfailingly happy. I’m a visitor here. I bring income. Of course I’m treated well but not all writers experience the same reception. The government has clamped down hard on its free press. International news journalists experience mixed welcomes and mutual distrust is pervasive. The country’s two newspapers now read like simplistic tourism brochures, virtually news-free and positively spun by the government. Informed persons tell me that if they want to gain more than rudimentary knowledge about Fijian politics, they read the New Zealand or Australian press. 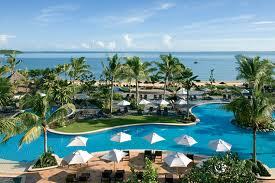 Fiji is nevertheless a safe country for tourists. By 2012, approximately 400,000 visitors from Australia chose Fiji as a holiday destination, an increase of more than 100,000 since 2009. Obviously people are voting with their feet, their preference for Fiji firmly in place. I make no judgment call. Educated sources reliably tell me that in recent times local chiefs parked themselves inside polling stations to monitor how their people voted. The ‘wrong’ vote could result in social ostracising or worse. For Fijian Indians, marginalised and disadvantaged, the political situation has often been dire with disenfranchisement a distinct threat. The present government is promising a new constitution that will rectify many such wrongs though a date has yet to be confirmed for its ratification. Fijians are patient. Is it the climate? The laissez-faire attitude to change that serves also to dampen progress? Certainly Fiji is a poor nation. Tourism is its largest domestic earner, greater than sugar, mining, timber and fisheries combined. If the tourism industry nosedives, many innocent Fijians will suffer. No money for school fees, transport or basic essentials much less luxuries like uniforms and books. While the present government’s heavy handedness regarding freedom of press and its overall quashing of criticism is deplorable, Fijians I meet are candidly philosophical about the future. If there’s such a belief as tropical stoicism, Fijians are adept practitioners of its tenets. Tom Neal Tacker travelled courtesy of Fiji’s national tourism authority. 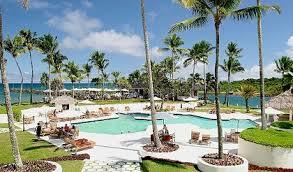 Sofitel Denarau Island main pool and grounds. Pearl South Pacific Resort pool and grounds. JM Cousteau resort villa bedroom. 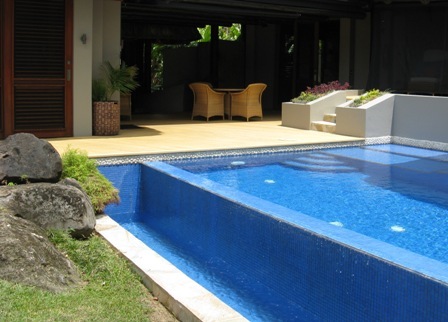 JM Cousteau resort villa pool. Day trips on the Upper Navua River (www.riversfiji.com) and Beqa Adventure Divers’ incredible dives with sharks (www.fijisharkdive.com) can also be arranged via the Pearl South Pacific Resort or direct contact.